For the past few years, Topshop has had something of a penchant for the vintage aesthetic. It has really embraced this 90s-revival trend, and it has a vintage/salvage section at it’s Oxford Street flagship. I have to say I dig it. Some of it is a fantastic though some of it is totally unwearable- and I mean that is the best way. My favourite is certainly the stripy Shirley Manson Circa Garage yellow tee and the slinky backless party dress. Both get full marks. 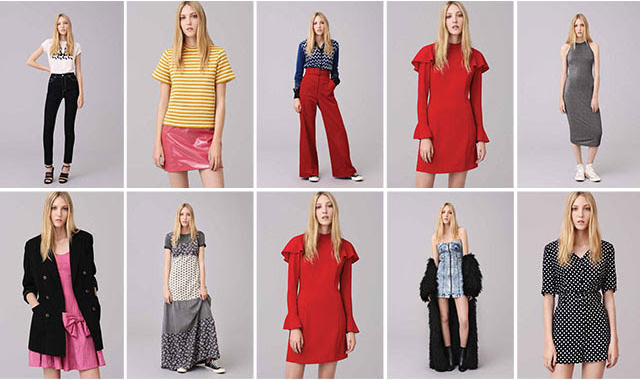 The bells sleeved, caped red dress should really be banished back to the late 70’s hellhole from whence it came, on the other hand. Overall, I applaud the collection and I think it’s a sweet idea, totally on brand and very shopable. And I am pleased to say that some of it WILL be mine. Previous PostWhat is PRE-FALL anyway?